We are moved by what we see and hear! Today, music and video are an intrical part of our lives! It might be a little deep for an introduction to one of our services, but the right music or movie can hit us somewhere so deep that it will make us cry, or it can even cause us to burst with laughter! We are intimately connected to what we hear and see. We are moved by it! Wouldn't it be great if no matter where we were in our home or business, and no matter what we were doing, we could listen to any song we wanted to, or access any movie, satellite or cable signal, or even look at our surveillance system? This, and more, is possible with a whole-house media control system. Many clients just want to have audio throughout their home or business. This will allow them to entertain guests, listen to the game, plug-in their iPod, etc. For business owners, it might be background music for customers, possibly integrated with a paging system. It can also be used for free advertisement of new products or services to new and old customers or even those walking by outside. This audio can be virtually anywhere. It can be around the pool with outdoor speakers that look like large rocks to blend in. It can be outside on a deck, in the laundry room, the master-bedroom, bathroom, or anywhere. Other clients want audio and video throughout. Increasingly, this is not a task that even the skilled can do. Even a skilled electrician or Electronic Systems Technician will easily find themselves in over their heads. 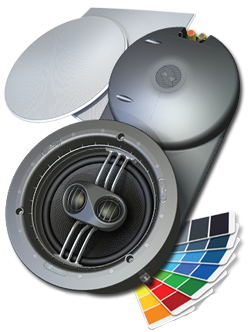 We offer many different options to distribute high-quality audio and video throughout your home or business. 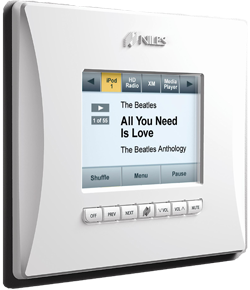 We offer intelligent AV distribution systems to control centralized components (i.e. VCR's, DVD Players, Blu-ray Players, AV Receivers, CD Changers, iPods, iPads, Android Devices, etc.) from anywhere. With Niles Audio, Sunfire, Definitive Technology, and Aton Systems at our fingertips, we can create a great AV experience for you! All of these solutions have an amount of excitement and awe surrounding them, but there is something special about our VidaBox Media Servers! At Guardian Media, we offer high-definition media servers. These offer the ability to put all of your movies (DVD's, Blu-Rays, home movies, etc. ), music, and photos in one place and access them anywhere around your home or business at anytime. This isn't just some fancy CD or DVD changer! 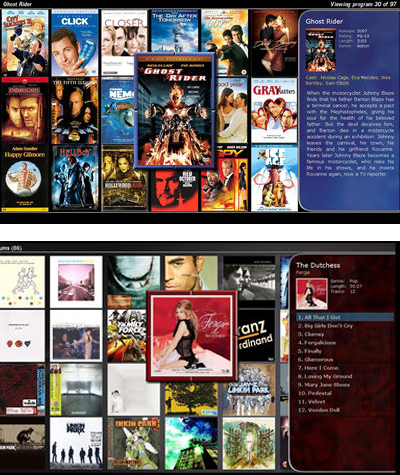 You drop your CD, DVD, or Blu-Ray disc into the system and it is preserved and archived into the server and accessible from any compatible player. Accessible is a huge understatement! Your media is archived by artist, genre, rating, length, etc. in a visually appealing and user-friendly interface. Your family, friends, or staff will have access to your entire collection at the push of a button. If any of this sounds exciting or appealing to you or your family, please contact us for a no-cost and pressure-free estimate!